The absolute best person to share the gospel with is your neighbor. But probably not the neighbor you are thinking of. Let me explain. These answers allude to an epidemic, and conceivably, a spiritual form of prejudice. We segregate the “good” people who we believe are more likely to respond positively to Jesus from the “bad” people who we unwittingly believe are too far gone. This spiritual prejudice is not something that we would intentionally speak out on. We know it is wrong. “I’m definitely not going to share with Adam. He is a drug addict and he doesn’t deserve the gospel,” said no follower of Jesus ever. 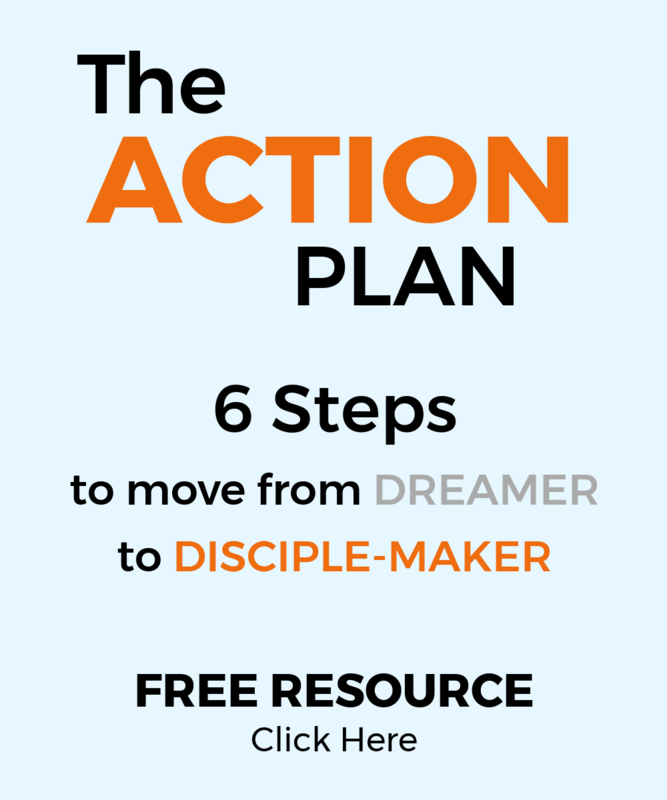 But our actions can make this subliminal thought a reality; just as it did in Jesus’ parable of the good Samaritan. We see these same men and women today. Those who “fell among robbers” are our co-workers, work-out partners, cashiers, and others that are, just like we once were, dead in their trespasses and sins and following the course of this world (Ephesians 2.1-2). These people who are deceived in their search for joy are bloodied and bruised by Satan, the robber of joy. They may not be the easiest people to share the good news with, but no one said loving people is easy or effortless. We get to be the good Samaritans in their lives by introducing them to Jesus who ultimately heals those wounds and gives the gift of true joy in Him. I was driving with one of my bosses in a foreign country, both of us operating on little sleep and an inconsistent diet. I was convicted that this was an opportunity to share the gospel. My boss was seemingly a very hard and harsh man. With over two-dozen years in the military and extensive combat experience, he was weathered by a tough life physically and spiritually. Being my boss’ “neighbor” and sharing the gospel during that drive was not comfortable. However, this was a conviction God gave me. What would make me any different than the Levite or the priest if I ignored this conviction and walked past the opportunity to reach out? That time of discussing Jesus did not mend all the wounds he had suffered from the world, but in that time together I engaged in what we as believers can and get to do; be a neighbor and try to love like Jesus did. Don’t be like an unbeliever in determining that some people are too far gone and are not worth loving. Don’t be frustrated with the thought that the roads of life are filled with those who fell among robbers and that you can’t help them all. The response I hope this provokes in us is to challenge ourselves to see others the way Jesus does and seek out our opportunities in sharing the gospel. Jim (the blessing guy) Tom (the tattoo man) and Jane (the non-smoker) still need the gospel and a “neighbor” who is willing to stop and share it with them. Take a minute to pray and ask the Father who He wants you to share the gospel with this week. Pray for the boldness to love them. Prove to be their neighbor. 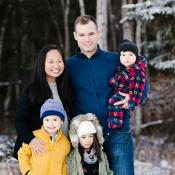 Wes, Tina, and their three children are an Army family currently living in Alaska. The Woods seek to live out the gospel in their everyday lives and are committed to building communities in Christ wherever they are sent. 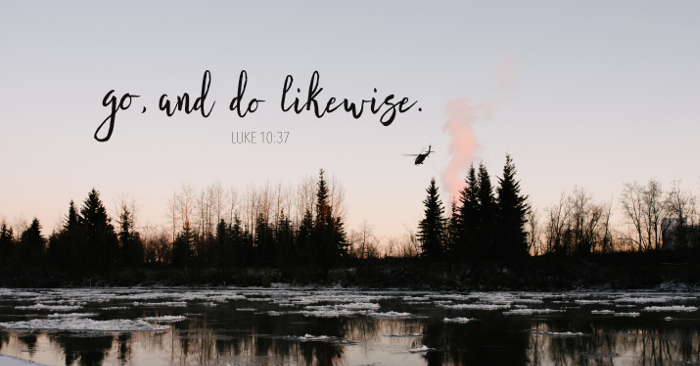 They are passionate about sharing His story to soldiers and their families, making disciples, and moving the mission of Jesus throughout the Army.